Falconry Capital says the case should alarm minority investors in state-controlled companies. A small-time brokerage with a stake in a state-controlled telecommunications company in Kazakhstan is embroiled in a dispute that it says should serve as a warning to aspiring investors. In one corner is Falconry Capital, an Almaty-based investment fund that has been around since 2003. Facing off is Kazakhtelecom — by far the largest player in the country’s telecommunications sector. 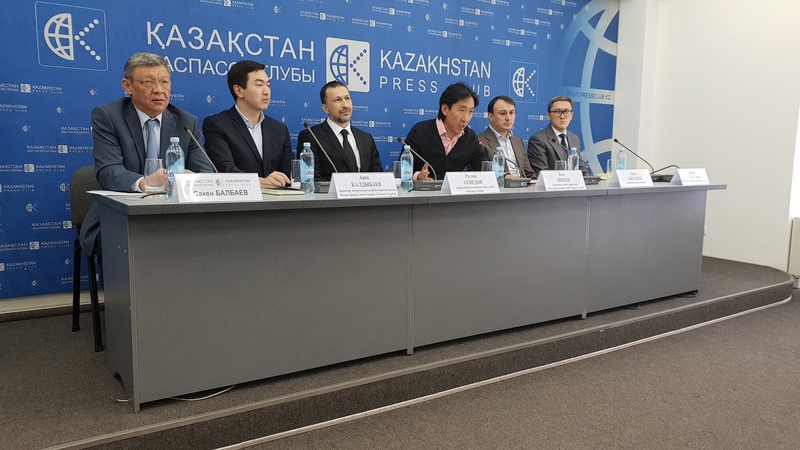 Speaking at a press conference on February 11, representatives for Falconry Capital accused Kazakhtelecom of refusing to abide by rules obliging it to buy back a 0.19 percent stake being offloaded by the investment vehicle. Kazakhtelecom, meanwhile, accuses Falconry Capital of exploiting inside knowledge to try and profit. It has not explained in any detail quite how this scheme is meant to have worked, however. This standoff dates back to Kazakhtelecom’s decision late last year to buy a 75 percent chunk of mobile telecommunications company Kcell. A 24 percent stake was purchased from Stockholm-based Telia Company and another 51 percent came from Fintur Holdings, a joint venture between Telia Company and Turkcell, the largest mobile services operator in Turkey. As representatives for Falconry Capital tell it, they objected to the acquisition and seized the opportunity to trigger their privilege as a minority shareholder to compel Kazakhtelecom to buy back shares at a price calculated along the lines of a previously agreed mechanism. The head of asset management at Falconry Capital, Anes Kaldybayev, said that his fund holds 21,000 shares, which are worth around $720,000 at market rate but $1.9 million under the buyback arrangement. The state-owned company responded by charging an anti-corruption body with investigating Falconry Capital for allegedly engaging in insider trading. That probe has since been closed after investigators admitted they had found no evidence of criminality. Falconry Capital says that this case is without precedent in Kazakhstan and that Kazakhtelecom is setting a dangerous example for other state corporations by trampling over the interests of minority shareholders. Another executive at the fund, Ruslan Ahmedov, said that Falconry Capital has held the shares for eight years and was not in it for speculative ventures. “When Kazakhtelecom bought Kcell, we understood that this transaction would bring us nothing good, so that is when we decided on the buyback, which is a standard practice,” Ahmedov said. That opinion is far from the consensus view in the brokerage sector, however. Indeed, acquisition of Kcell has given Kazakhtelecom an overwhelmingly large sway over the entire telecommunications market. In what appeared to be a dedicated response on February 11, Kazakhtelecom summoned a shareholder meeting to push through new rules on how to set prices for shares in buyback operations. Falconry Capital has said the new system envisions shares being purchased by Kazakhtelecom at a 20 percent discount on the market value. “This mechanism will not work, since it is will become more profitable for investors to just sell their shares on the market,” Kaldybayev told Eurasianet.